Have you ever been in public and needed to charge your phone? It can be quite awkward as to where to place your phone: an airport floor, a table, or maybe you just have to hold on to it. Let’s take a look at ORBIT, an intriguing solution for iPhone charging. 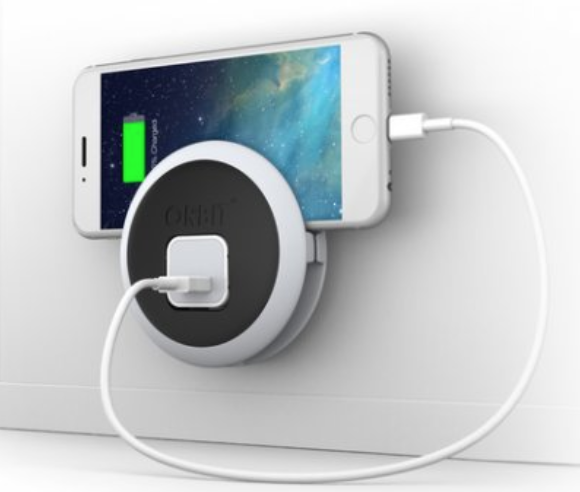 ORBIT is a dock that holds the Apple 5W adapter and one meter/three foot charging cable. 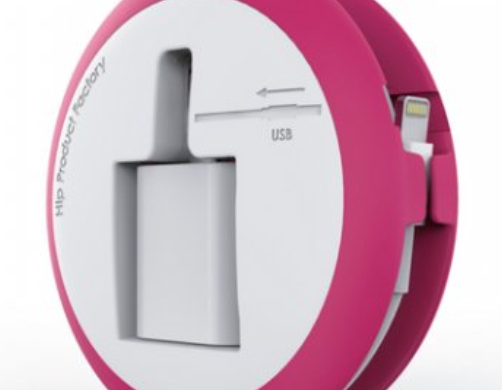 The adapter pops into the center of ORBIT while the cord wraps securely around the outside for storage. Rubber nubs keep the cord in place and a dedicated slot for the USB eliminates strain off the base of the cable. To use ORBIT, place the adapter into the square opening, attach the cable, then plug into an outlet. The iPhone, with or without a case, rests in a slot on top of the dock. In my testing the ORBIT held my iPhone 8 securely. It did, however, get in the way of the bottom outlet. Not completely, but just enough to make that outlet unavailable. Keep that in mind when using ORBIT in a public place, especially where outlets are in high demand, like an airport. I also found the adapter didn’t always sit flush inside ORBIT without a lot of manipulation. There was no problem plugging it into the outlet; however, make sure you remove your phone from the dock before pulling ORBIT out of the outlet. The ORBIT came off but the adapter stayed in the outlet. Those two issues aside, I like the ORBIT a lot. It’s light and compact, making it easy to throw into a bag for travel or everyday use. It keeps the cable from getting in the way in a highly congested area and also keeps the phone safe. For $15 you really can’t go wrong. Check out their web site (listed above) for a brief video demonstrating how to use the ORBIT. MyMac.com Review Rating: 8 out of 10.